A registered art therapist for over 25 years, Suzanne Thomson integrates mindfulness and sensorimotor psychotherapy to facilitate healing and community engagement. Her work as an artist working with clay and rinzai zen practitioner shapes how she works with clay to transform habits of thinking, feeling, and behaving. She provides psychotherapy, supervision, and clinical consultation. 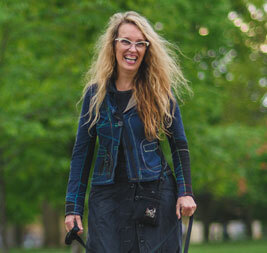 Suzanne teaches art therapy and co-creates community-based arts projects. Transformation By Fire at the Gardiner won the 2013 Award of Excellence in Exhibitions—a direct reflection of Suzanne’s deep commitment to working collaboratively to address social justice issues through the arts. In this 6-week workshop, we will use clay and the practice of RAIN to explore the four foundations of mindfulness: body, feelings, mind, and the nature of our experience. In this two-hour workshop, we will explore clay as a medium for deepening our experience of the present moment.